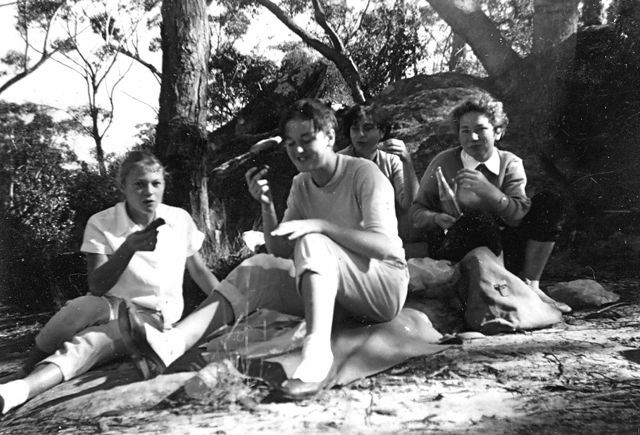 "HEY GIRLS LOOK AT THIS"
Back in 1958 when I was in 4th Year High School and I was 16, a group of us formed a hiking club. Early one Saturday morning we all met at Waterfall Station. We had backpacks full of food for a picnic. 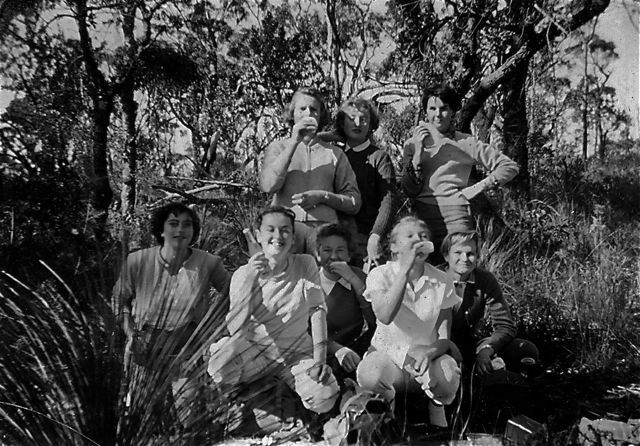 We set off down the trail, leading us through The Royal National Park on the outskirts of Sydney. We climbed and climbed up a steep hill and came to a plateau. We stopped here for a rest and a drink. Some walked faster than others so we formed two groups. I was in the last group. The fast walkers were in front and the slower ones were behind but we kept in view or earshot of each other. Just as well. Suddenly, we heard the leading group scream and shout "Hurry up! Run! Run!" and we saw arms waving beckoning us to run ahead and catch up. We wondered what was happening so we didn't hesitate to run. As we passed a small clearing in the bush, we heard a man's voice call, "Hey girls look at this!" Just the sound of his voice made us run even faster but out of the corner of my eye I could see him waving his willy at us. We screamed and collapsed into the arms of our friends up front who had been surprised by the flasher and screamed and then called out to us. From then on we stayed together and all ran on for the next half an hour with our hearts thumping and our lungs ready to burst. 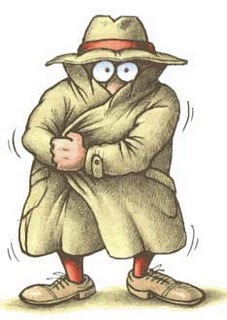 We lost our weirdo, who was busy doing something else with his pants round his ankles. When we were sure we were clear of him we stopped for a rest near a pretty waterfall. This is probably why the village is called 'Waterfall'. We felt safe in numbers and walked on happily putting it behind us. Soon we found a nice spot to make a fire and cook some sausages for lunch. After lunch we continued on to the next village and caught the train home, tired and giggling over our scary experience with a flasher. Woohoo! It is time to celebrate George's birthday with our Birthday Bear group. To learn about our tradition read it here. I know it sounds silly but we get excited when we know we are going to lunch with a teddy bear. However, we are always keen to find out how Birthday Bear will be dressed for the event because he will be dressed to reflect some personality of the person whose birthday it is. The birthday person keeps the bear until next birthday celebration takes place. 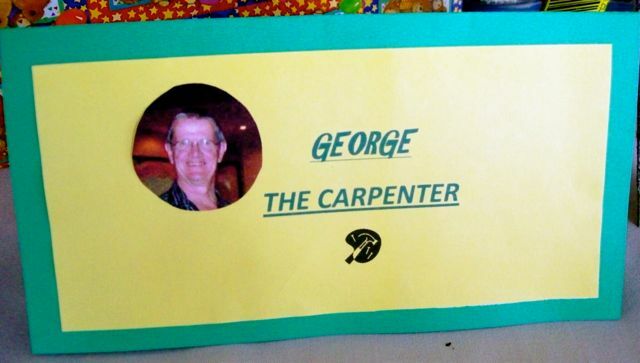 George is often tinkering in his shed with hammer and nails and making things. 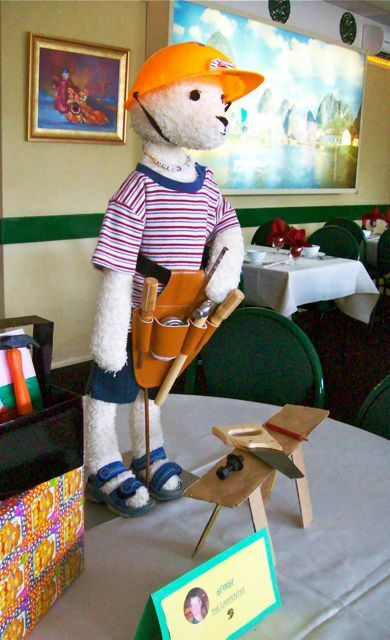 So Birthday Bear arrived at the restaurant dressed as a carpenter together with his tool box and saw horse. He has his hard hat on for safety but I don't know if he would pass the building site safety test with those shoes. George was happy with his Birthday Bear's outfit. We take it in turns to dress Bear. 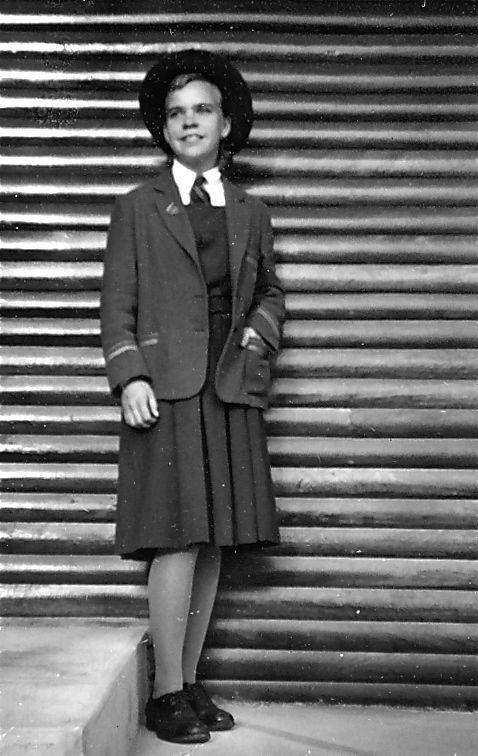 Mary did a good job as it is getting harder and harder to think up new and different outfits. We all had a superb chinese banquet at Kam Koon Restaurant in Springwood. We welcomed Helen and Paul back from their holiday in New Zealand and Ann and George back from their holiday in Cairns. My social calendar was a little crowded last week with two dinners on two consecutive nights and then a lunch the day after. Boom! There goes the diet. Twice a year the playgroup mothers of the 70's get together for a girl's night out at a restaurant. We discuss the worlds problems and our travels. We catch up with marriages of our children and births of grandchildren and how they are all doing... blah blah blah. We share photos too of course...brag brag brag. And we all had a delicious Thai dinner. It was a good night out. The following night it was the Logan Branch of the University of the Third Age dinner at a chinese restaurant. It was a good way to get to know people doing other classes than the one we attend (Camera Club). Not everyone came to the dinner but it was interesting listening to other people's stories and interests. Some of the subjects offered in Logan are Mah Jong, Psychology, Walking, Writing, Computers, Painting, Tai Che, English, Genealogy, Philosophy, Bible Study, Yoga, German, Spanish, Calligraphy and Camera Club. Next post is Lunch with Birthday Bear, guess how he'll be dressed for George's birthday this time? I must apologise for not getting to everyone's posts lately. I am retired but occasionally I get offered a short contract to teach children who are having difficulties with Literacy and Numeracy. I have been working for the last seven weeks and I find it difficult to keep up with blog reading. However, the contract has finished and I'm now freeeeeeeee again. So, hopefully, I will catch up. I was at a different school to the one I last taught at for 17 years. It was interesting to see how things are done differently and how education is changing with technology since I finished full time teaching. I was at Robertson State School (Primary School, Elementary School). At the moment they are having a new Resource Centre (Library) built and there was a little chaos teaching in a construction site. 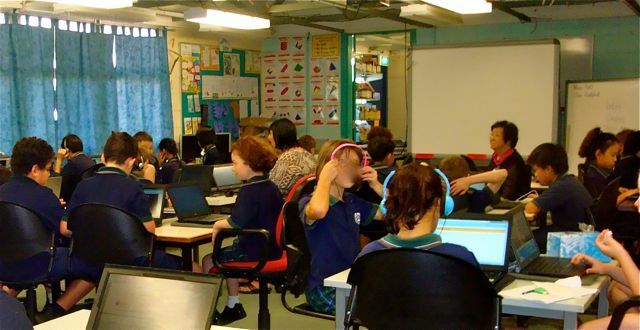 One of the Year Five classes all had to have their own laptop. I guess in the future there won't be any book lists, it will be a laptop or an ipad instead. Its a far cry from the slate in early days. 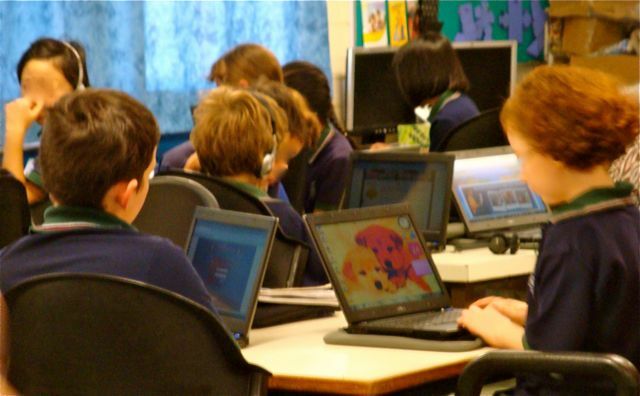 It was interesting watching the kids doing their lessons on their laptops. The parents have given consent for kids to be photographed but I still prefer to keep their faces blurred. I stopped using the flash on my point and shoot so as not to disturb them, so the pics are not the best. There is a teacher and teacher aide in the class. 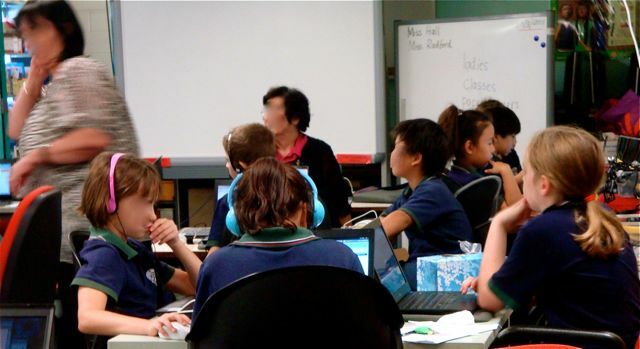 The teacher is sitting, helping a group centre left. The aide is centre right. This is a temporary classroom while the construction is in progress. Every class has an interactive whiteboard. I have seen some amazing lessons done with this technology. 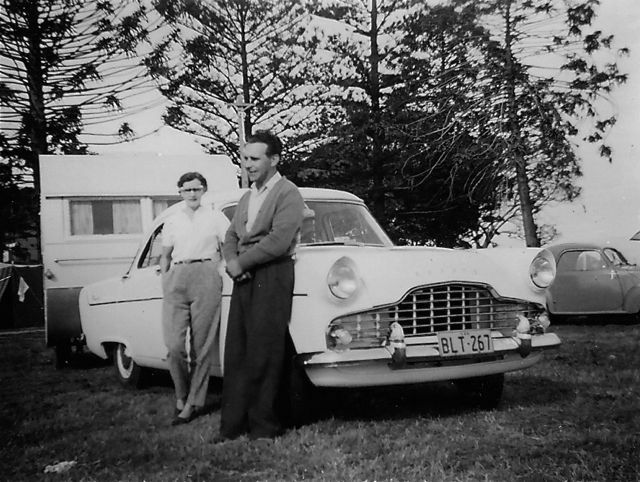 In 1958 and we had been in Australia for 9 years. My Mum and Dad took five years to build their house themselves and they were still both working hard to pay off the bank loan , educate me and find enough money for a holidays. 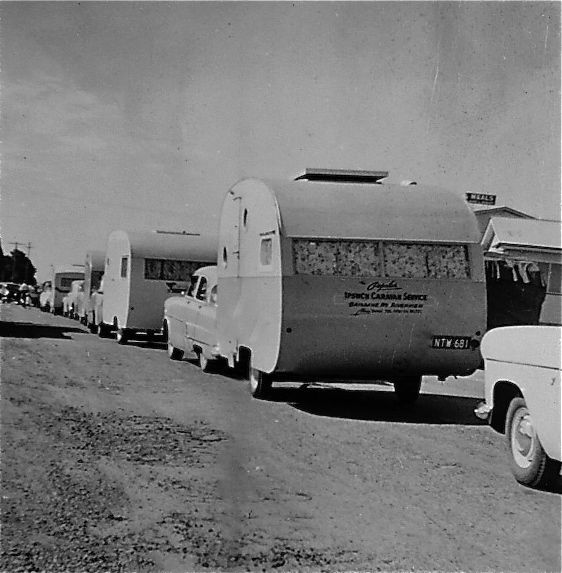 This was our second caravan holiday. We were going north again to the beaches and the warm sunny weather. It was May at the end of Autumn. 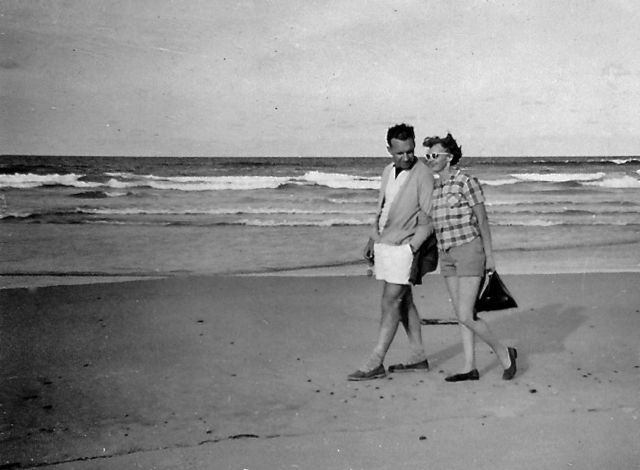 Mum and Dad looking foeward to a relaxing holiday. 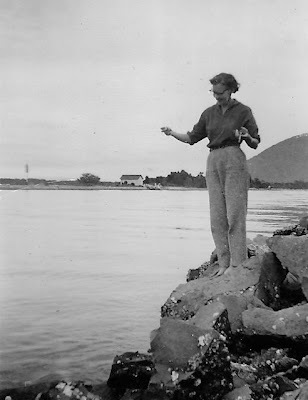 This time we were going to go at a more leisurely pace along the coast road stopping when and where we wanted. First stop was in the lakes district near Newcastle at Belmont. 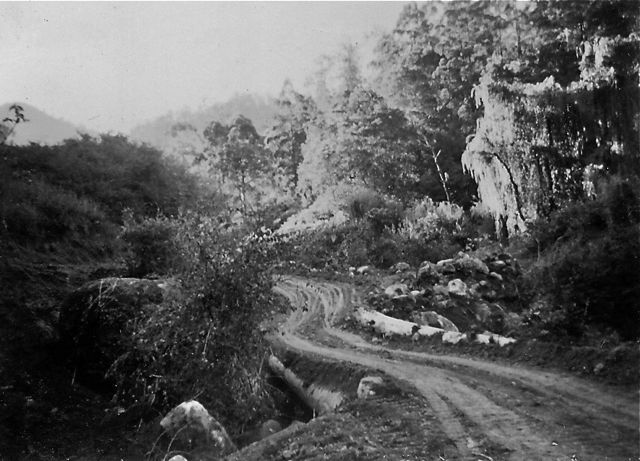 The Comboyne Mts forestry road. Next we went to Taree a little inland and close to the Comboyne Mts. We left the van in the park and went exploring in the mountains. We found ourselves winding through the forest on a narrow, dirt road. Soon we heard the growling of a huge Timber Jinker loaded with forest logs coming down the mountain. We were all nervous of how it was going to pass us. Dad moved to the edge of the road as far as possible, the wheels teetering on the side of a steep drop to the valley floor. 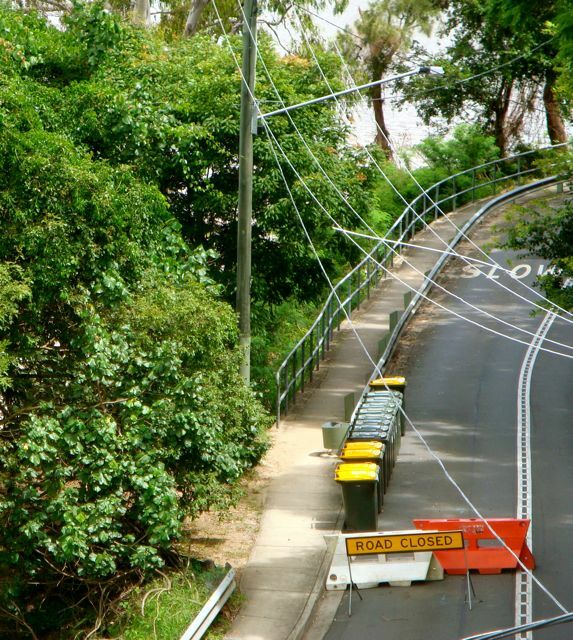 With our hearts in our mouths we watched the huge truck squeeze past inch by inch and continue on its way. I don't think the driver was too impressed with us being on the forestry road. I don't know how we ended up on the wrong road but now we had to try and turn around and get out of there. Somehow we did it. 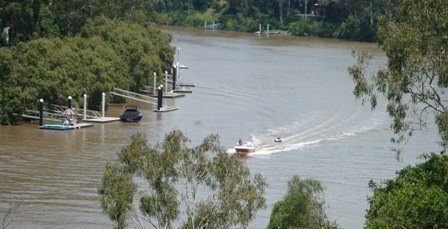 I took over the navigation after that, finding a way from Grafton to Ballina. We had to cross a river by ferry at Woodburn. It was school holiday time and the road was full of caravans heading north. 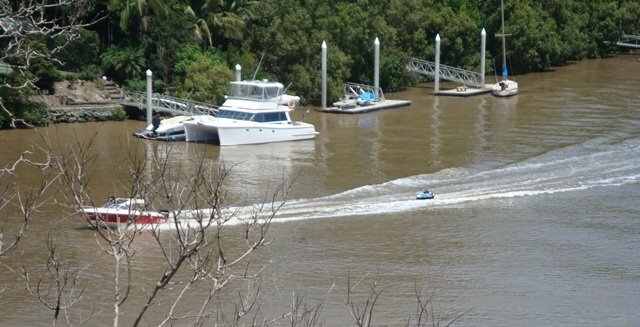 We stayed at the beach town of Ballina for a few days. Brunswick Heads. I love this photo because they look so happy and they deserved this after their hard start in this country. Then we went on further north to Brunswick Heads one of the most northern beaches in NSW. 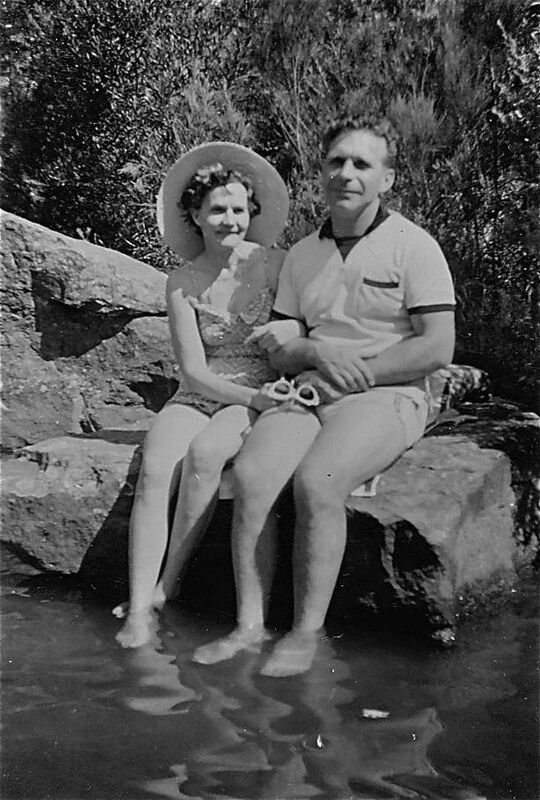 Mum and Dad were in the swing of enjoying their relaxing holiday and loved living in Australia. I am holding my first camera case. We turned back towards Sydney and stopped at different beaches on the way home. We stopped at Yamba where I bought a plastic banner. I collected one from each town and stuck them on the wall of my bedroom. After Yamba we pulled into Woolgoolga. There was a lake and the beach. 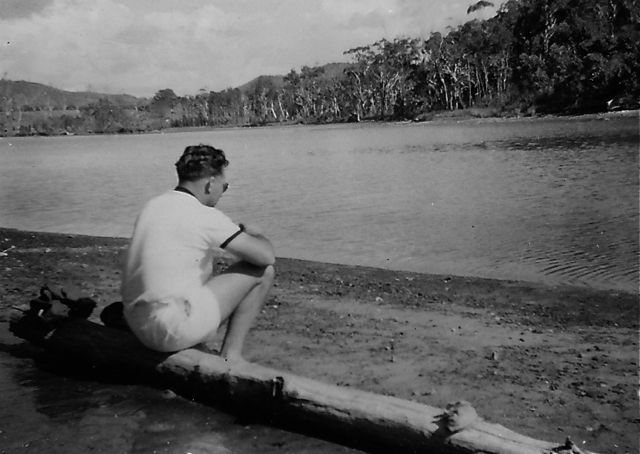 Dad having his daily sit and think by the lake at Woolgoolga. 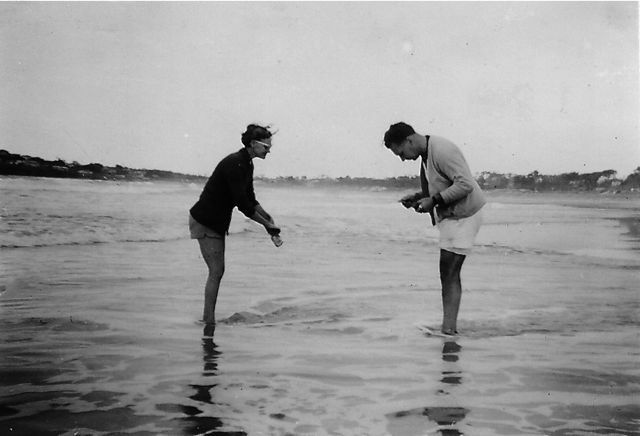 Here Mum and Dad have caught each other at Woolgoolga. 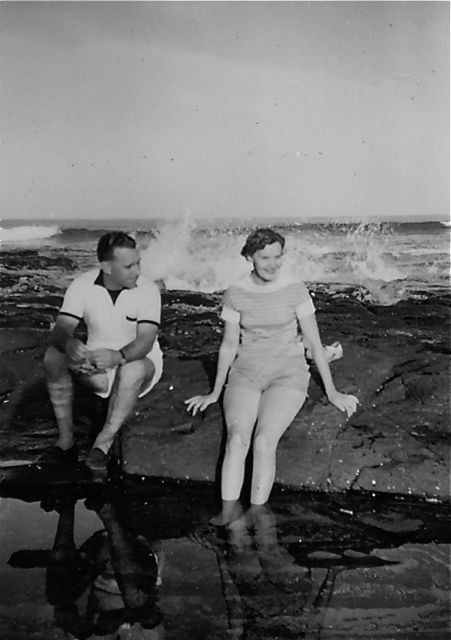 We loved Woolgoolga and had many happy times. We laughed ourselves silly at our fishing attempts. It was such a quiet and untouched place that we were to return to stay here for next year's holiday. Our last stop was at North Haven where a river emptied into the sea. Mum was trying to catch our dinner but her line got snagged on the rocks. Us Pommies never became good Aussie fishermen. Around 1957/58 I was given my first camera and photo album. 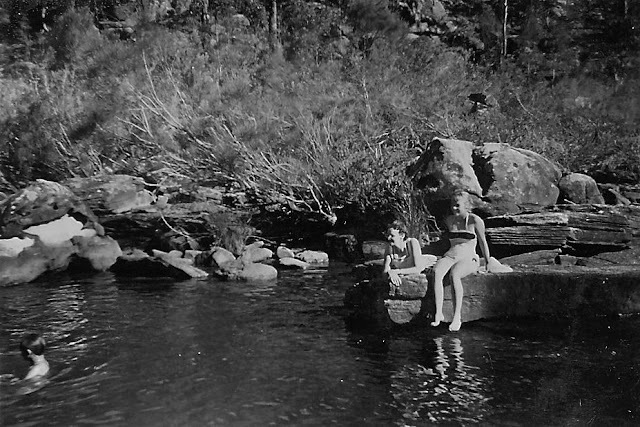 It was the trusty Brownie Box Camera, which you see in museums now, but it was a great little camera in its day. 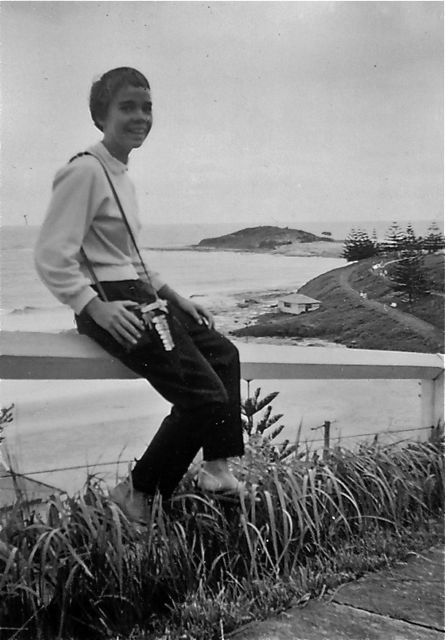 I was in 4th Year high school when the Queen Mother visited Australia. 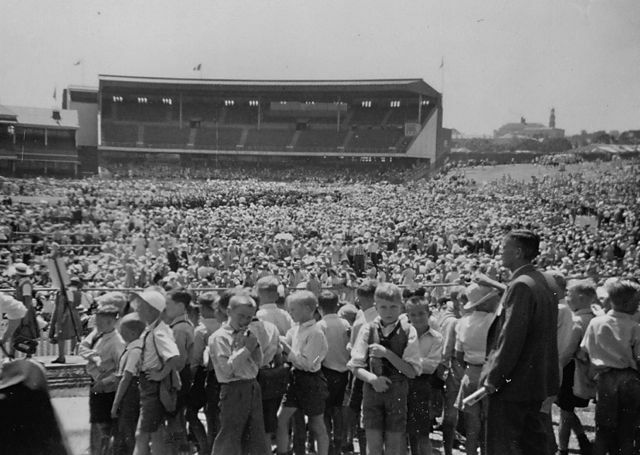 Schools were invited to meet the Queen Mother at the Sydney Cricket Ground. We excitedly boarded buses for the city and then waited for what seemed hours at the oval waiting for her appearance. 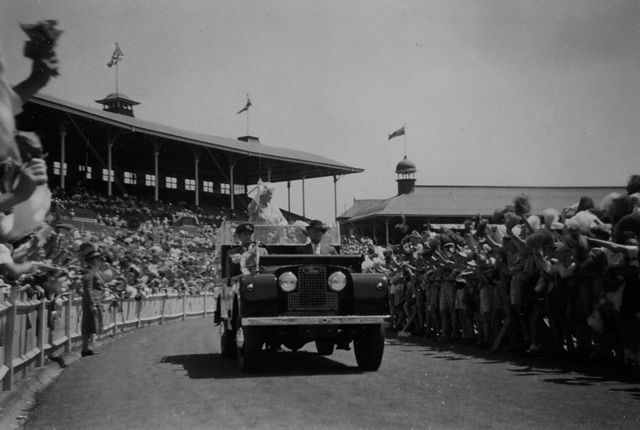 She was driven around the oval in an open Land Rover. She was standing in the back waving. The Queen Mother waves to us standing in the back of the Land Rover. 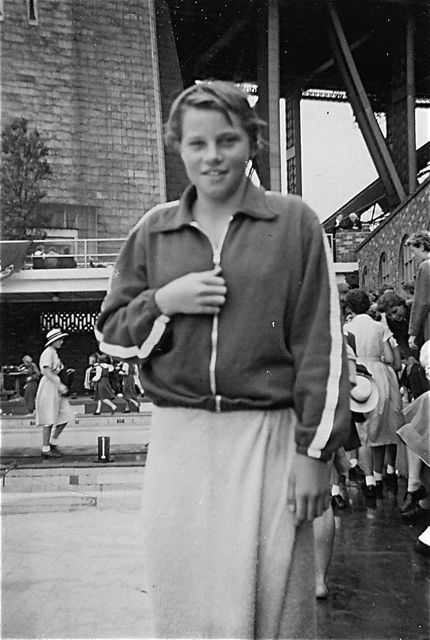 The same year (1958), I managed to get into the school swimming team to compete at the State Championships held at North Sydney Pool. 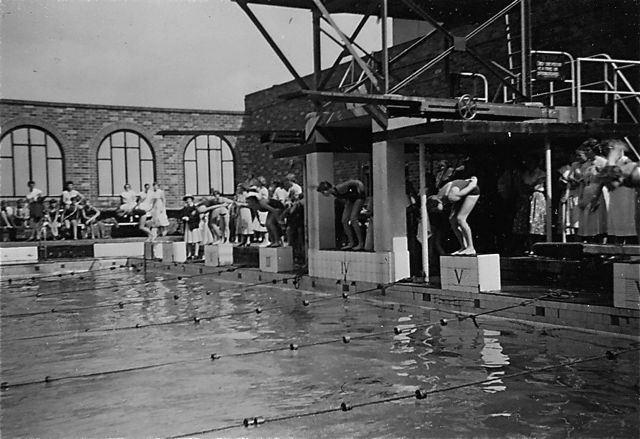 At the time it was the only olympic sized pool in the city. We travelled on the train for an hour to get there. It felt special to be representing my school, but I wasn't good enough to get into the finals but I still enjoyed the day. I was thrilled to say hello and take a photo of Ilsa Konrads, who was an Olympic Champion even though she was still at school. 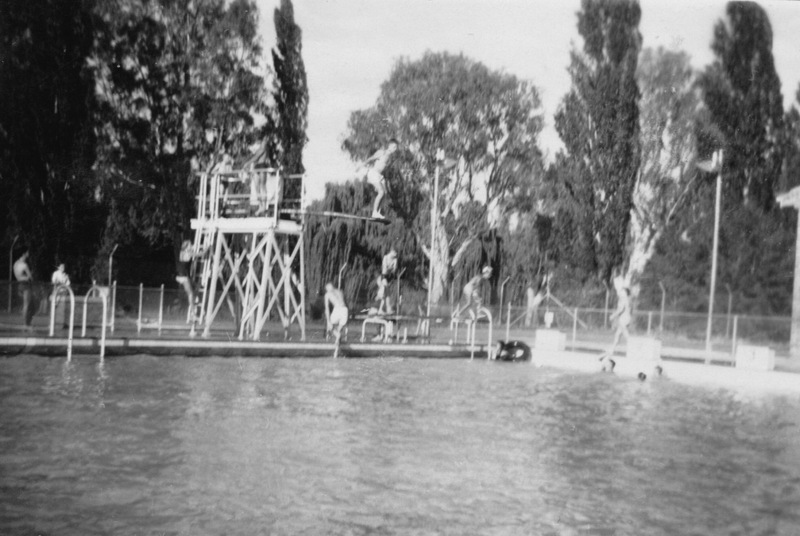 North Sydney Olympic Pool 1958, it is still there today. 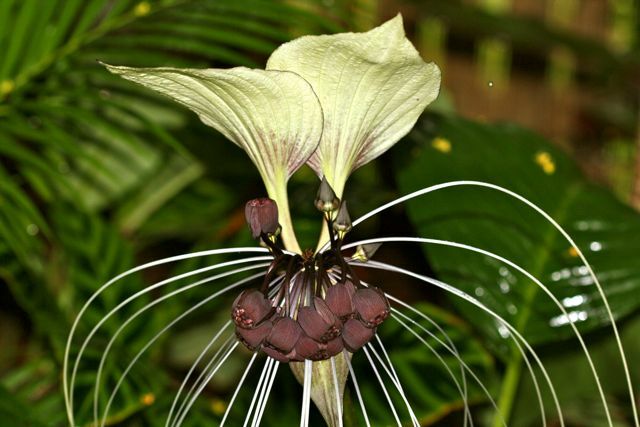 HAVE YOU SEEN A BAT PLANT? 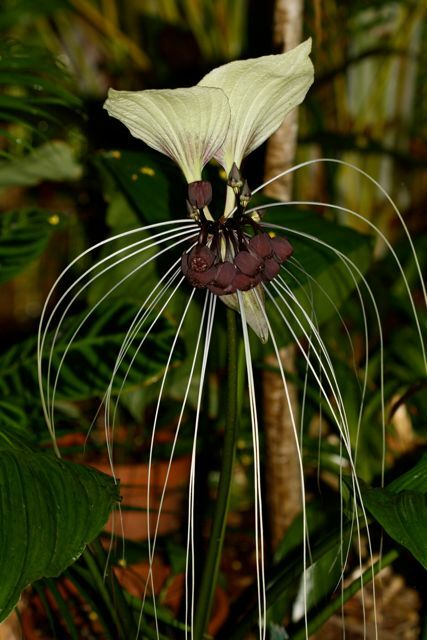 A Bat Plant (tacca integrifolia) a native of Malaysia. 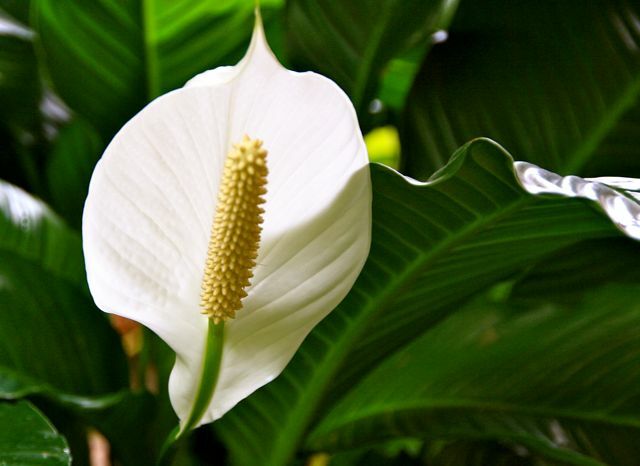 The flower arrangement is a metre long on a spike also a metre long. 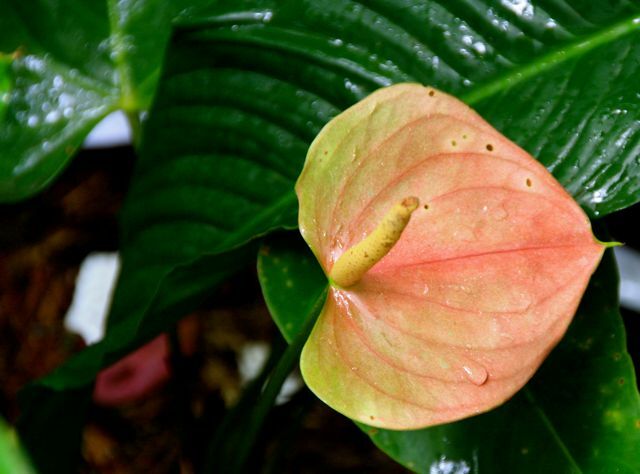 The bracts are white but can be purple or purple and white. The true flowers are purple hanging under the bracts. I've never seen anything like it. It was exotic to say the least. 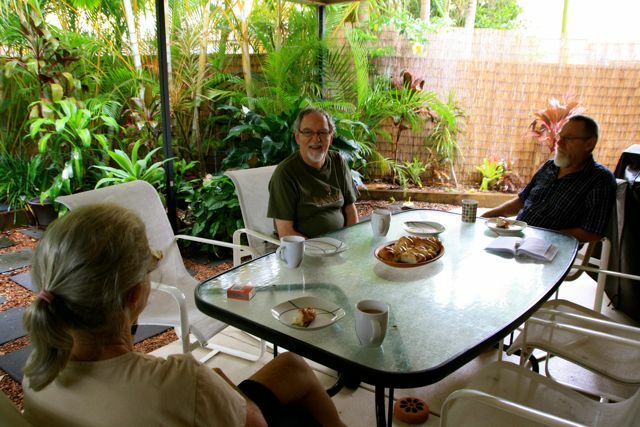 It was very relaxing having morning tea on the back patio surrounded by the tropical lushness. 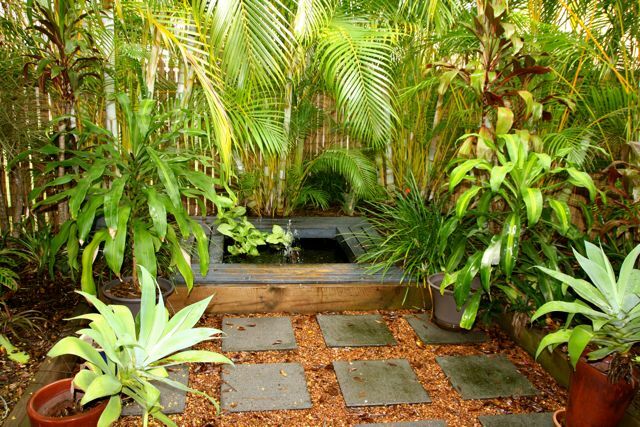 Notice it is still raining in Queensland. 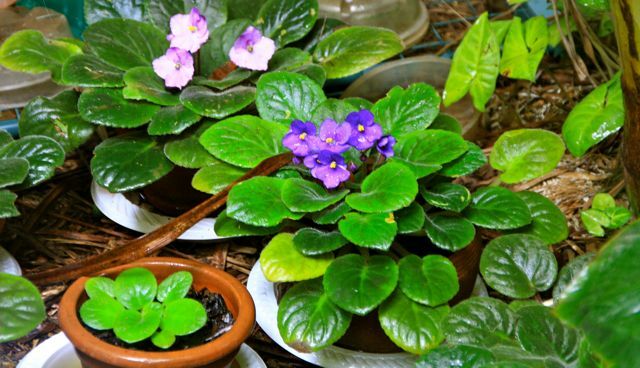 Lyn has a huge assortment of African Violets. We had a great weekend chatting, playing cards, and eating. We went to breakfast at the Main Beach Surf Lifesaving Club overlooking the rolling surf covered by a grey showery sky. It was still beautiful. We walked around a new park and the Rock Pools, a water park for children and then returned to the house for another round of cards before coming home. I hate to say it but the Swiss boys beat the Aussie girls 4 games to 3. 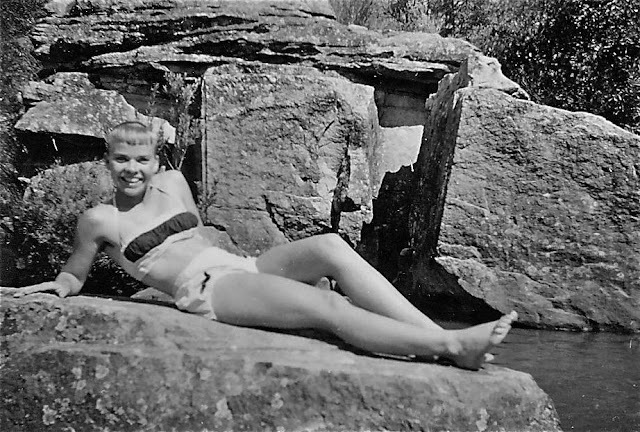 At the end of 1957, during the school holidays my parents asked me if I would like a holiday in the country. 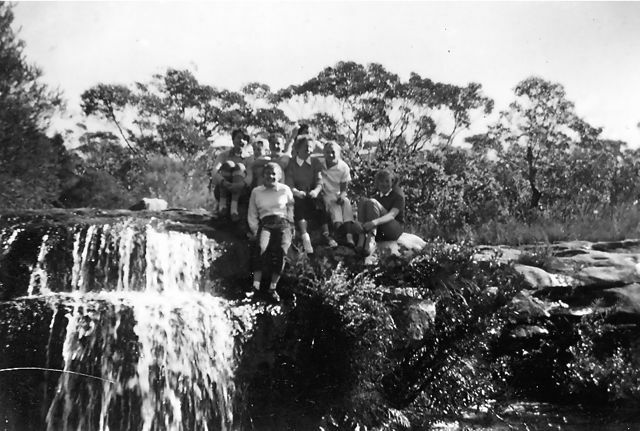 They had arranged with their friends, Ida and John, in Mudgee for me to spend the school holidays with them so that I wouldn't be home alone. So I packed my bag and off we went in our new (second hand) car over the mountains and out onto the plains to the little country town of Mudgee. Mum and Dad stayed over the weekend and then waved goodbye and back they went to work in Sydney. Ida and John owned a corner store and the house was attached. I found it fun to be allowed to help myself to sweets now and then. Occasionally, I helped out in the shop but I was always worried about getting the change wrong, in the days before the cash register told you what change to give. Early every morning the baker brought the hot bread into the store for sale. He was a boy with red curly hair and freckles. 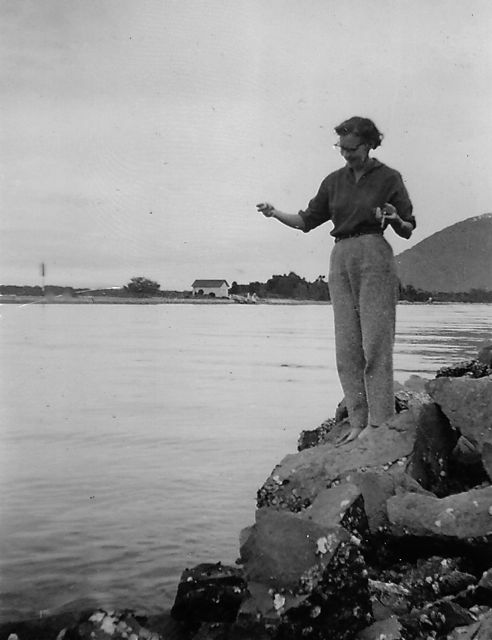 Ida introduced us and suggested he took me to the town's swimming pool when he had finished the bread run. 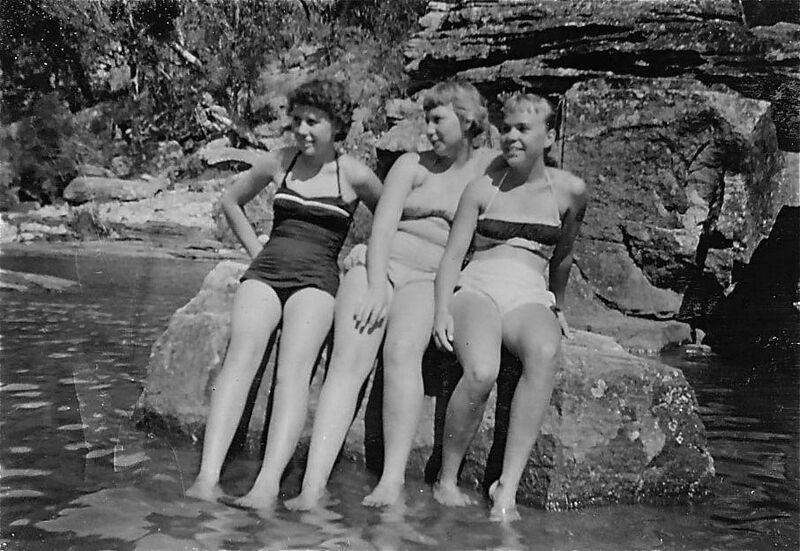 I loved swimming and I was keen to find the pool and make some country friends. And so started a country romance but I wasn't sure about the red hair. However, hanging out at the swimming pool was fun. I joined the Mudgee Swimming Club and toured to neighbouring towns for swimming carnivals. On Saturday night I went to the local dance with the Baker Boy but I was starting to get put off country life after I saw the boys at the dance got drunk and then started brawling. So I didn't go again. The town was hot dry and dusty and there were millions of flies. It was surrounded by nice grazing land with sheep and cattle. Today it is quite a modern town catering for tourists visiting the many vineyards and wineries in the area. I was surprised when I returned a few years ago to see the change. 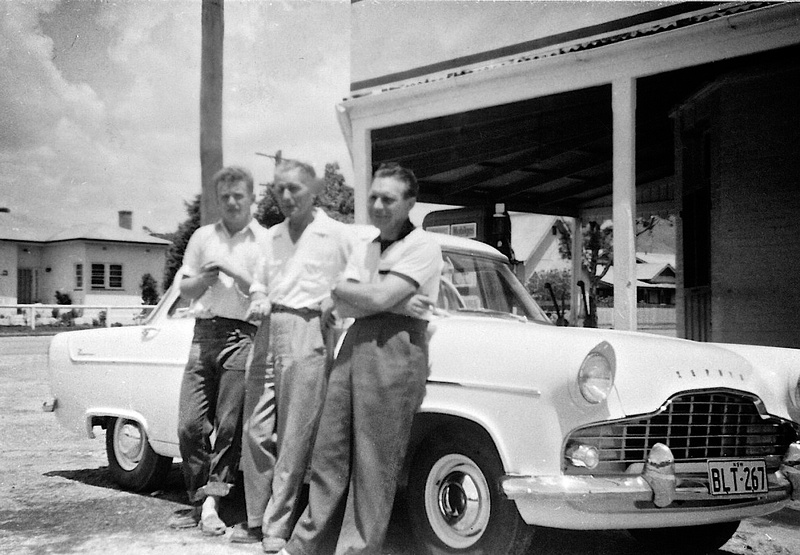 The Baker Boy, John, Dad at the corner shop in Mudgee. Mum and Dad came to pick me up at the end of the school holidays. A Flashmob brighten the day for Sydney commuters. 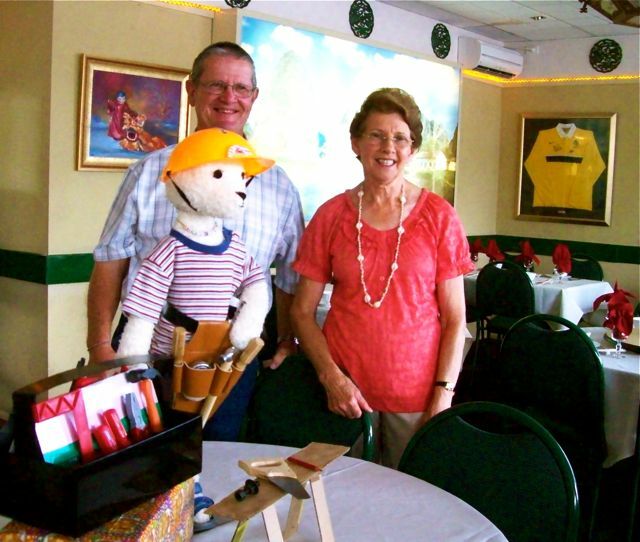 For the last few years our friends, Ruth and Bill, have invited Bill and other friends, who are Pisces, to a luncheon to celebrate their birthdays. 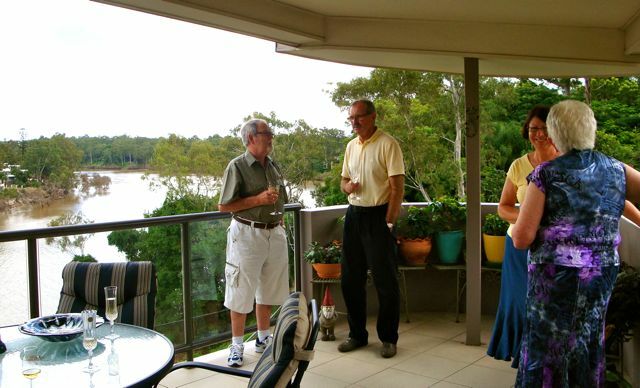 Ruth and Bill have a lovely apartment in a small block of units overlooking the Brisbane River at Indooroopilli. The other friends were Karl-Heinz, Renata and Maureen. 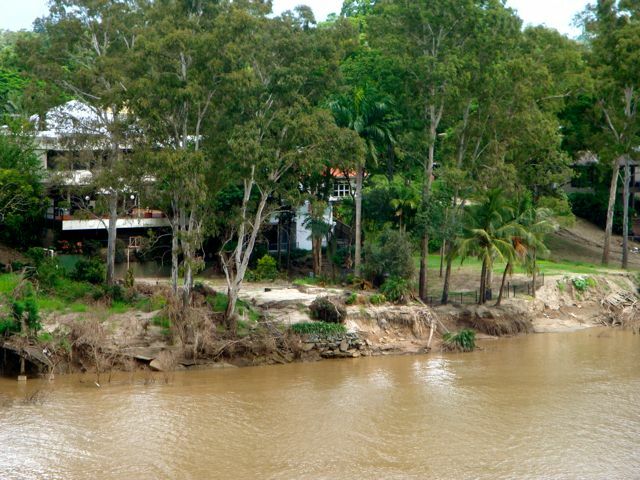 From their balcony we could see that the river is still muddy from the floods. Ruth said the water came up over the road but stopped before it entered their garages underneath luckily for them. 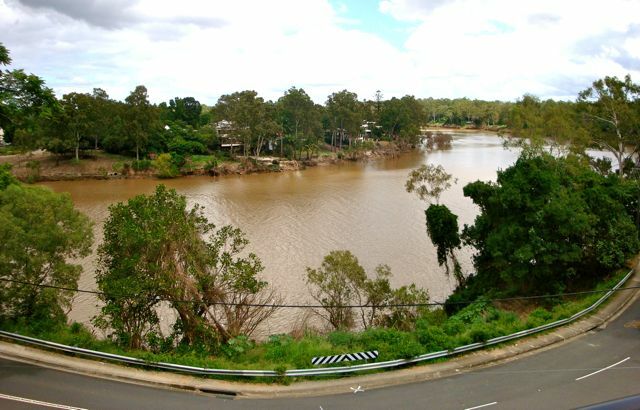 However, the road is still closed a little further up as there is chance that it will collapse into the river. So the people have to leave their bins here and walk to their houses. 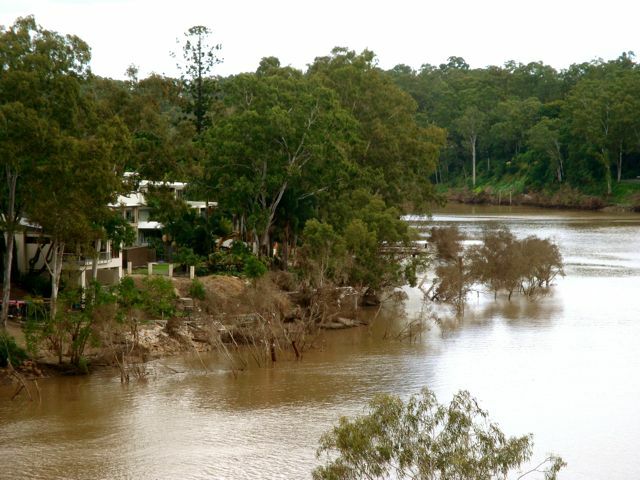 On the other side of the river, the million dollar houses had water up to the first floor.We could also see where the bank had been washed away. Not only the bank washed away but hundreds of pontoons were also washed down the river. 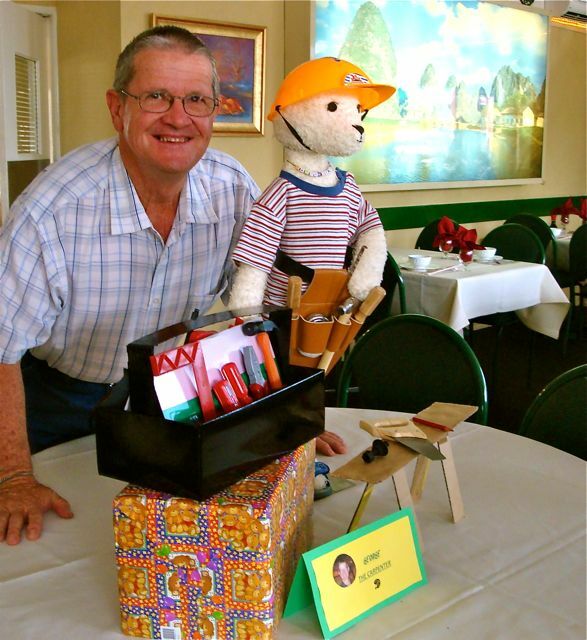 The picture below was taken at the Pisces luncheon 2009. Pontoon moorings before the flood. Not only pontoons were washed downstream but hundreds of boats too. See below same place in 2009. 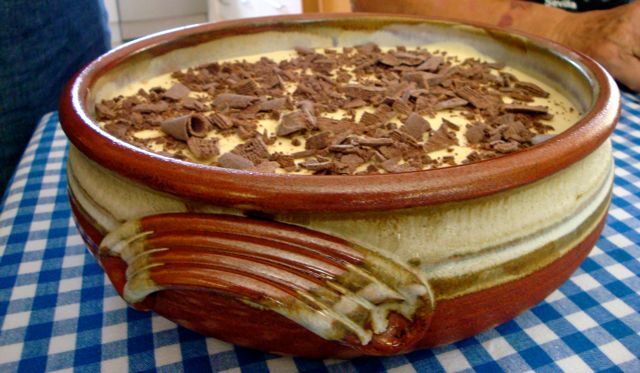 We had a delicious lunch of cold cuts and antipasto followed by figs and cheese and Bill's favourite Tiramasu. He says nobody can make it as well as Ruth. This book is the sequel to "Freshly Baked Rolls with Lashings of Butter". 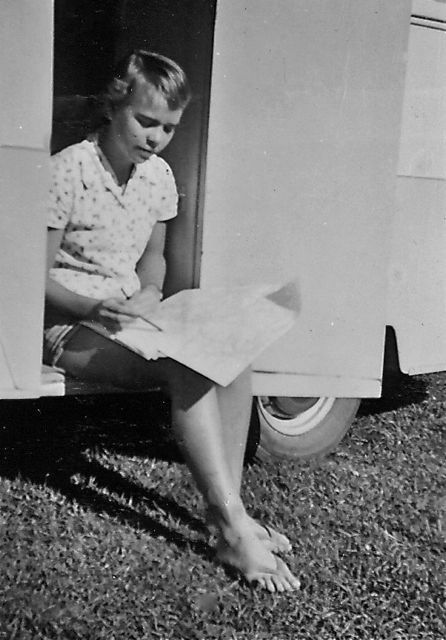 Where I wrote about starting a new life in Australia between 1949 and 1956. 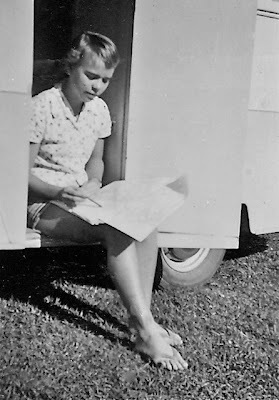 In 1956 my brother had left home. He was 19. 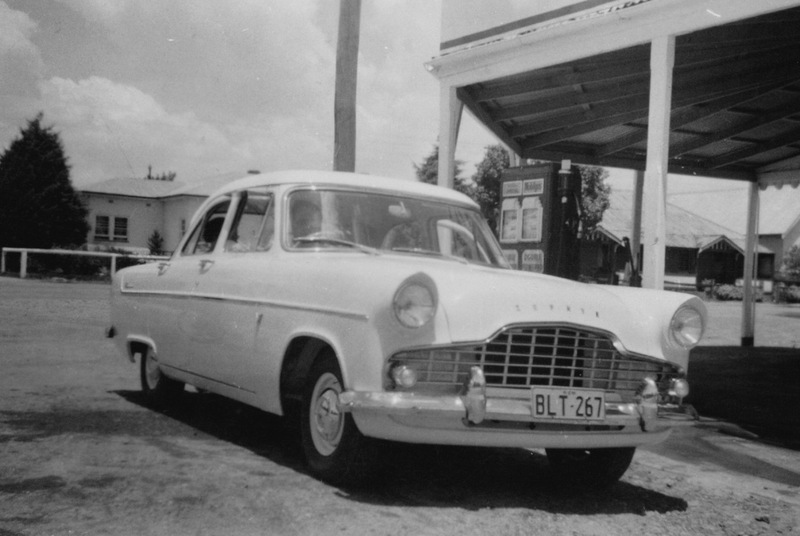 He went to Papua/New Guinea to work as a patrol officer. His job invovled making contact with, and bringing law and order (European style) to, the primitive natives in the jungle and the mountains. 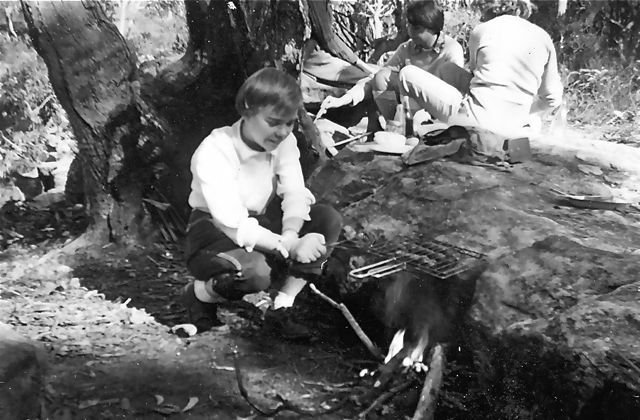 Unfortunately, he never wrote about the adventures he had there before he passed away in 2009. My Mum and Dad worked hard to pay off the mortgage, save for holidays and educate me. 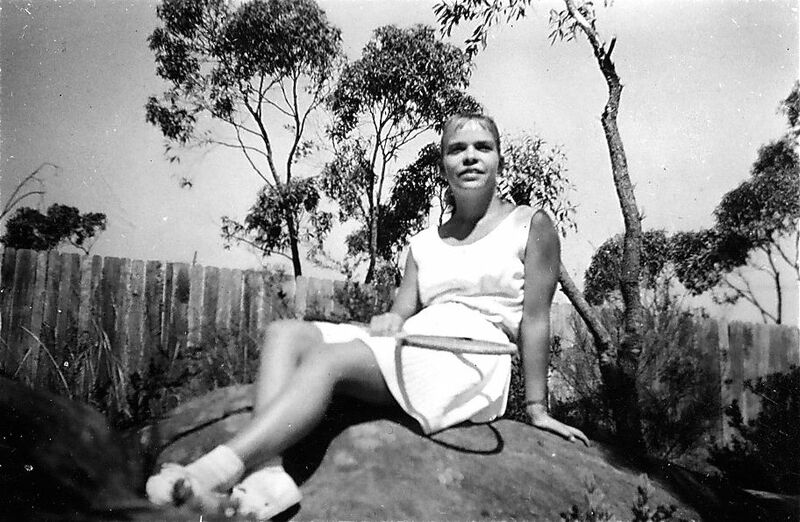 Mum was a psychiatric nurse at Reception House, Darlinghurst, Sydney and Dad was a telephone technician for the PMG. 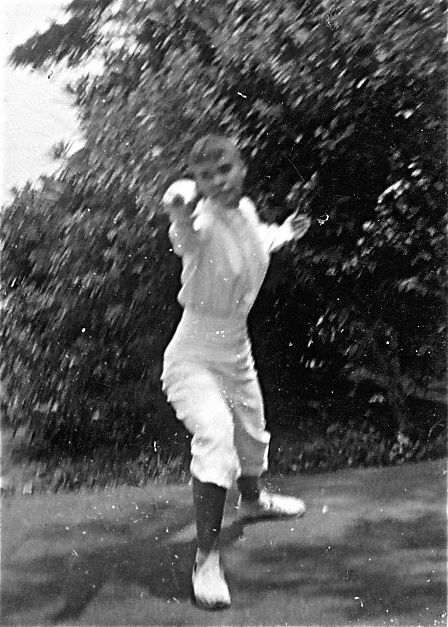 I went to a co-ed high school and I loved PE and Sport very much. I did swimming. athletics, archery, fencing, gymnastics and hockey at school. On Saturdays I played competition tennis. Schoolwork got in the way of all this fun. 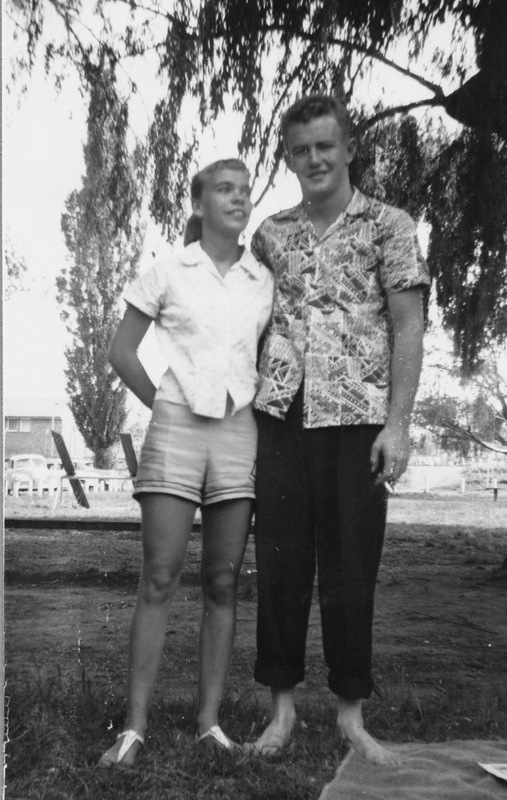 Our friends, Ida, John and Jenny had moved to Mudgee, a country town west of Sydney. One weekend we went to visit them. 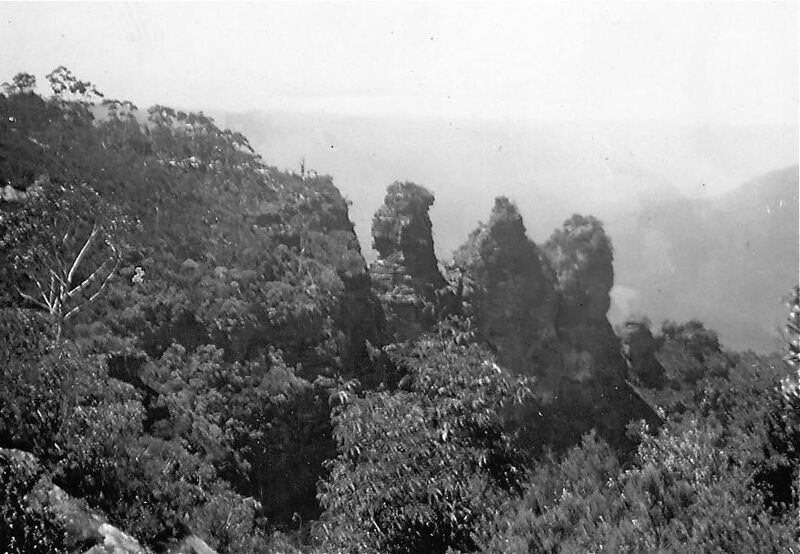 This was the first time we had been over the Blue Mountains. 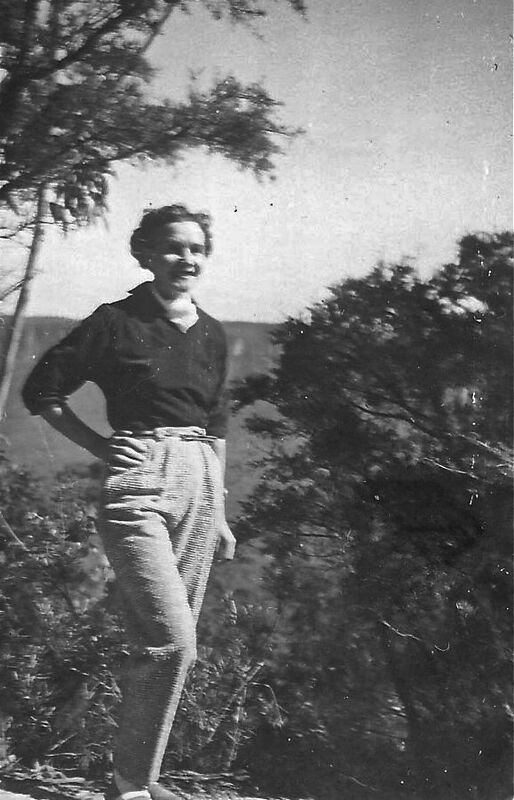 Actually, Mum had been before because she often did trips to accompany mental patients to sanatoriums in country towns. INTERNATIONAL WOMENS DAY 100TH CELEBRATION.